Anyone can be in the top 1%, anyone, that is committed to growing. Ula Mikus, Mindful and playful human being. Devoted to inspire personal and professional growth through acceptance and kindness. 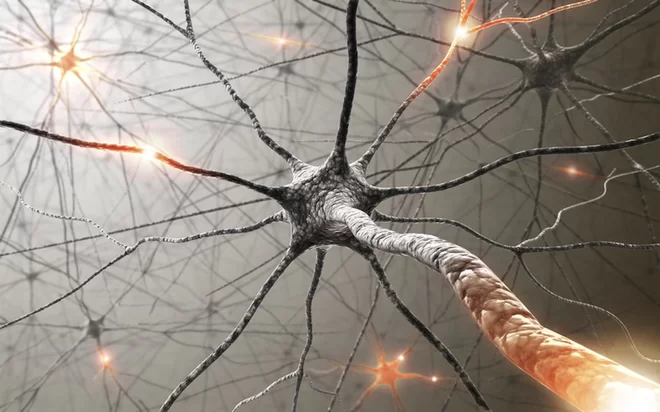 Neurons in the brain communicate via electrical impulses and neurotransmitters. The latest research in neuroscience has shown how connectivity between neurons can change with experience. With practice, neural networks grow new connections, strengthen existing ones, and build insulation that speeds up the transmission of impulses. I had lots of problems in school; the topics were boring, and couldn’t force myself to study something I had no interest in. I was convinced that I wasn’t good enough. On the other hand, when I did decide to set my mind on something, I got good grades. This was usually at the end of the semester when there were lots of fires to put out. And only a few weeks later, I forgot everything I learned, as at that time I didn’t care which year Spanish Armada was defeated or why they were waiting for Godot. The whole school was a painful experience for me and for that reason I did not develop useful habits like FOCUS or DISCIPLINE. First time I took an official test at Mensa, I was curious to see what my IQ was. And what a shock, my result was 95, below average. Yes, I know there are conditions (sleep, concentration, physical state, etc.) that can affect the result, but not 59 points! I started thinking how is this possible, examining my thought processes, to realize I have more brain capacity than the test showed, but I don’t know how to use it. I made a decision to see if I can change something. For the next couple of years, I forgot about the test. I focused on implementing thought processes that helped my intelligence to grow. Four years later, I took another Mensa test, and the surprise came again, with a result of 154 this time. Unbelievable. This new mindset made me more curious, and instead of saying “I don’t know” — I started using “I’ll figure it out.” From how to assemble new furniture, repaint my apartment, develop a website, learn SAP or edit a video. Becoming a “learning nerd,” I now feel like I have the power to accomplish almost anything. What are the benefits and downsides from a high IQ? There are some downsides to it, especially when we identify ourselves with this trait, and somehow think we are “better” than others. With this mindset, it is easy to isolate ourselves from others, but also be sensitive to criticism and development opportunities. Those that feel superior, hold on to their intellect as their only strength and tend to atrophy in other areas of life. On a positive note, IQ will allow you to process information a little faster, and perhaps you may grasp concepts a little easier than others. When you use IQ for the benefit of your personal growth, that’s when it becomes a valuable tool. But first, you need to unlock all of the doors in your mind. Not keep a single one of them shut. How can I grow my IQ? According to decades of research done by Stanford University professor Carol Dweck, children that valued learning and effort (Growth Mindset) over praise and accomplishments (Fixed Mindset), showed great success later in their careers. Her research confirms the belief that intelligence can be increased by adopting the Growth Mindset and always pushing and challenging ourselves to learn new things. What are 3 steps I can do right now? Playing strategy-based video games, learning to use a complex software program or data calculation projections in Excel, are the best activities to stimulate your mind and create thinking patterns that can be applicable in every situation. A healthy diet is essential for intelligence, foods like wild salmon, maca root, and avocado contain vital nutrients that not only protect and keep your brain healthy but improve learning capability and focus. Scientists have also confirmed that processed food diet lower children’s intelligence while healthy nutrition can increase it. Neuroscience confirms that meditation is associated with structural changes in areas of the brain that are important for sensory, cognitive and emotional processing. With only 15 minutes per day, you can easily control your thoughts and train your brain to perform. You cannot solve the problem with the same mind that created it, and the solution part needs to come from the outside of the mind in the form of knowledge. The teacher can appear anywhere, from this blog post to a book, class, friend, consultant, etc., but it is your mindset that will make a decision if something will change or not. Which one do you choose to have; GROWTH of FIXED mindset? If you would like to share your thoughts or need advice, feel free to reach out to me via E-Mail.